I am excited to announce that Whole Self Therapy will soon be offering therapeutic and psycho-educational groups in addition to one-on-one counseling! 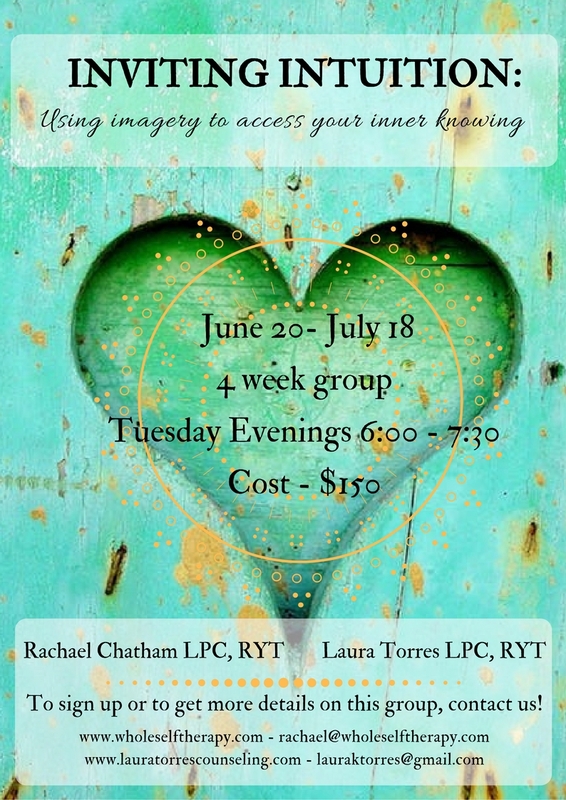 Starting in May, when I will be joining colleague Laura Torres, LPC, RYT, to co-facilitate a group focused on cultivating intuition through guided imagery. This will be a small group held in my office over a four week period on Tuesday evenings. The group will include both a didactic/instructional component as well as an experiential imagery piece and will include some expressive art as well. If you have an interest in connecting to your own internal wisdom, we hope that you will join us! You can email me here for more information or to sign up. Loving others and being loved is arguably the most challenging and rewarding gift of life. If we are lucky enough to find romantic love, the experience can lead us to profound feelings of connection and can both heal and sustain us in ways that no other relationship can match. I saw this great 2 minute video of a talk by Ira Glass, host and producer of the NPR show This American Life, about doing creative work recently. It really hit home with me, and living in Asheville, where there is such an abundance of creative people, I thought I would share his words of wisdom with this community! Personally, I feel that any work that you do that you feel passionately about is creative work. We can approach any craft with vigor and ambition, whether it is producing purely for artistic expression, or working on building skill at our chosen profession. His normalizing of the ups, downs, and curves in the road on the journey of improvement is refreshing and reassuring, my favorite aspect of this talk is his promotion of self compassion along the way! 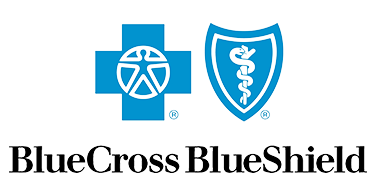 Whole Self Therapy is now a participating provider with Blue Cross Blue Shield of North Carolina! Do I have a deductible that must be met? What is my co-payment or co-insurance payment? If you have insurance through another provider, I would be happy to work with you by providing you with a ‘Super Bill’ – a monthly statement which you can submit to your insurance company in order to be reimbursed directly by them. Using this ‘Super Bill,’ your provider may cover all, or some, of your session costs. * I also accept private pay for those without insurance, or who would prefer not to use their insurance for psychotherapy. A sliding scale may be available, please inquire within for more information. Contact me today to set up your first counseling session! 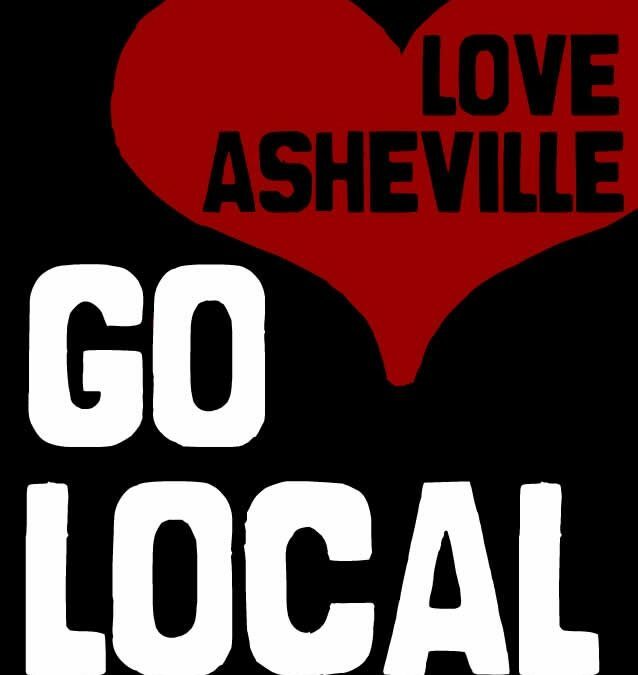 Whole Self Therapy is proud to be one of the few Counseling services in Asheville that is partnered with the Asheville Grown Business Alliance! If you have a 2013 Go Local card, I will happily offer you 10% off of your first psychotherapy session.